Parma Heights, Ohio (June 7 2016) – The Quarter Mile Foundation’s fundraiser roast of Pro Stock drag racing star Larry Morgan on Thursday, June 23 will have WFO Radio’s Joe Castello at the mike as Master of Ceremonies. 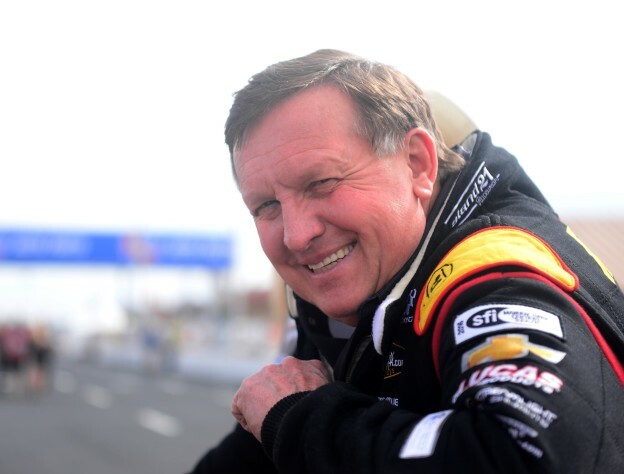 Castello assumed the role when Bill Bader, Jr., President of Summit Racing Equipment Motorsports Park had to relinquish the role, due to an unexpected schedule conflict. Castello, a native of south Florida, hosts the highly popular motorsports internet radio program, and is a fixture at most National Hot Rod Association (NHRA) events, doing live public address interviews. 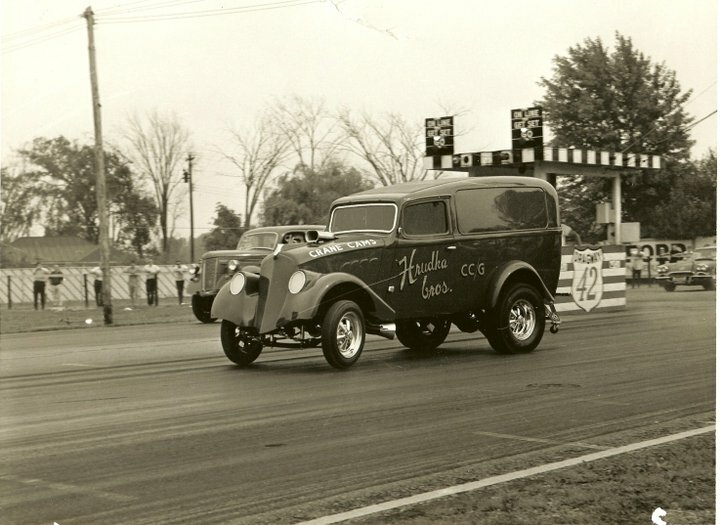 “Bill Bader and the Foundation are disappointed that he had the conflict, but we feel Joe’s special brand of energy and passion for the preservation of the history of drag racing will bring excitement to the evening. Joe has been a great supporter of the Foundation and its goals, and I am pleased he could assist us on short notice,” said Traci Hrudka, Foundation chairman. Castello will oversee the evening’s theme — The Larry Morgan Roast – A Cavalcade of Laughter” and as “Ringmaster of Ceremonies,” he will attempt to direct Morgan’s personally selected panel of tormenters: Tony Christian – Modified Eliminator, Pro Stock and Pro Street star, Ian Landies, Jr. – Competition Eliminator racer (son of the late sportsman star Ian Landis, Sr.), Pat Musi – Engine builder, Pro Street pioneer, John Nobile – IHRA Pro Stock World Champion, NHRA Pro Stock (father of Pro Stock star Vincent Nobile), Ollie Volpe – a former Gas-class racer and racing sales specialist for serveral leading aftermarket companies, and Billy (“B.M.F.”) Wagner – former Larry Morgan Racing crew chief. Supporting the roast will be added themed entertainment centered on a carnival atmosphere through the cocktail hour, dinner and roast. The event is being held at The Colonnade, north of Milan, Oh., during the NHRA/Mello Yello Summit Racing Equipment Nationals drag race weekend. The event is being supported by V.I.P. sponsors are Country Corvette (West Chester, Pa.), Holley Performance Products (Bowling Green, Ky.), JEGS High Performance and the JEGS Foundation (Delaware, Oh. ), Joe Hrudka (Phoenix, Az. ), Lucas Oil Company (Corona, Ca. ), National Hot Rod Association (NHRA – Glendora, Calif.), Speed City Performance (Mentor, Oh.). Activities commence at 6:00 PM, with a cocktail reception hour, followed by a buffet dinner. A cash bar will be open throughout the evening. The roast festivities will begin at approximately 8:00 PM. This entry was posted in News & Events on June 8, 2016 by stevecole. Time running short for Larry Morgan Roast tickets! Parma Heights, Ohio (June 3 2016) – The time is quickly growing short to reserve a seat for the Larry Morgan “Cavalcade of Laughter” Roast to benefit the Quarter Mile Foundation! The deadline for the $80 Advance Sale tickets is midnight, Friday, June 10. After that, the walk-up seats are $90, and with no guarantee of food service. All proceeds will benefit the Quarter Mile Foundation, and a portion of the ticket price will be tax deductible for US citizens. This entry was posted in News & Events on June 3, 2016 by stevecole. Parma Heights, Ohio (March 22 2016) – The Quarter Mile Foundation announces it will host a fund-raiser roast on Thursday, June 23, 2016 during the NHRA Summit Racing Equipment Nationals event week at Norwalk, Ohio’s Summit Racing Equipment Motorsports Park. The star of the roast will be Ohio Pro Stock star, Larry Morgan of Newark. Titled “The Larry Morgan Roast – A Cavalcade of Laughter,” which plays on Morgan’s well-known sense of humor and mischief. The “toast and roast affair” will have a variety of carnival-themed entertainment during the cocktail hour and the roast activities. The event will be held at The Colonnade, a large banquet facility just north of Milan, Oh. at 11001 US 250 (Milan Ave.) at Ohio Turnpike (I-80/90) Exit 118 (Norwalk/Sandusky exit), approximately 10 minutes north of the racetrack, and not far from Sandusky, Oh. Activities will commence at 6:00 PM, with a cocktail reception hour, followed by a buffet dinner featuring Pork Au Champagne with shallots, mushrooms and wine sauce or Chicken Tetrazzini, accompanied with Oven Roasted Red Skin Potatoes, Sweet Potato Casserole, whole green beans with slivered almonds, Colonnade Signature salad, yeast rolls with honey butter, plus a Popcorn Station for dessert (various flavors). A cash bar will be open throughout the evening. For the roast festivities, Larry Morgan will be joined on stage by the six roasters, chosen by Larry. The cast of roasters and the Master of Ceremonies will be announced in the near future. Individual seat tickets are available at $80.00 per seat, sponsored, V.I.P. tables (8 seats) are available at $1500.00 per table. Each V.I.P.-sponsored table will receive complementary bottles of red and white wine, company logo rights on the stage back drop, table signage plus recognition on event marketing materials. Tickets may be ordered through Event Brite at: http://www.eventbrite.com/e/the-larry-morgan-roast-a-cavalcade-of-laughter-tickets-3660358230 or by visiting the Quarter Mile Foundation’s website, http://quartermilefoundation.org/. Payment may also be made by check/money order payable to Quarter Mile Foundation at 6210 Beverly Dr. Cleveland, OH 44130. Please mark for Larry Morgan Roast. As in previous roast events, there will be both a live auction from the stage, and a silent auction which will be active during the cocktail hour and dinner. Payment for auction items will be cash or check only — no credit cards. 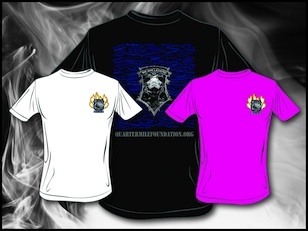 The proceeds will benefit the Quarter Mile Foundation and a portion of the ticket price will be tax deductible for US citizens. 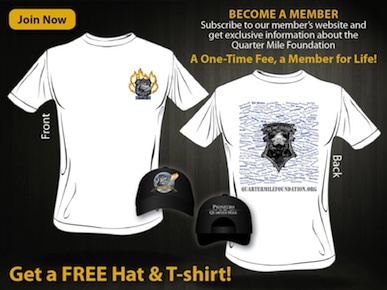 For further information contact the Quarter Mile Foundation, Traci Hrudka, chairman at hrudka@sbcglobal.com. This entry was posted in News & Events on March 23, 2016 by stevecole.